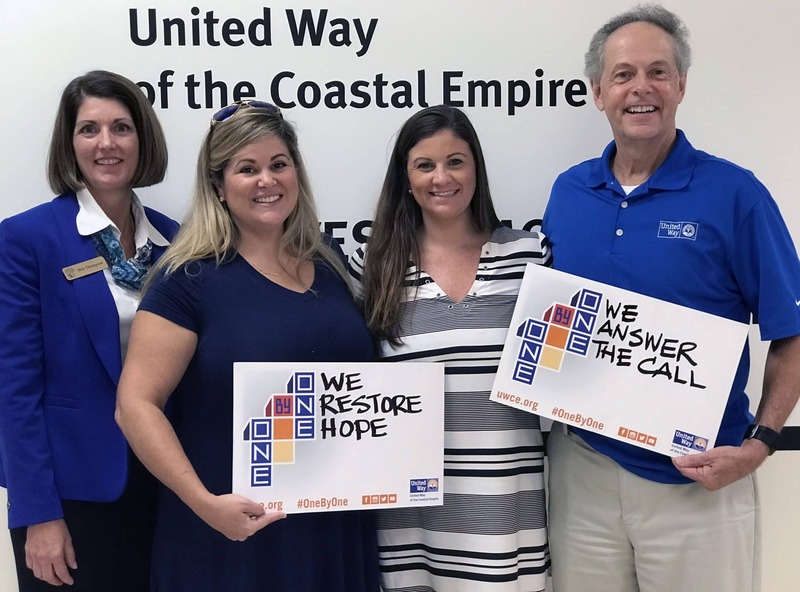 Savannah, GA (September 10, 2015) – More than 1,100 supporters gathered at the Savannah Civic Center to kick off the annual campaign for United Way of the Coastal Empire and celebrate what the organization does to improve lives in our community. 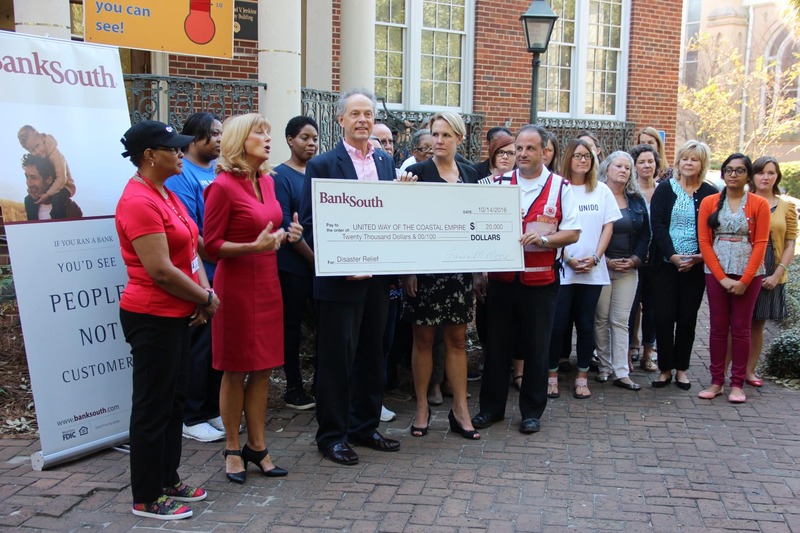 Campaign Chair Toby Moreau, market president of BB&T, announced the sky-high goal of $9 million in front of the energized crowd of volunteers, representing workplaces throughout the local area. Contributions to United Way campaign will be invested in programs and services to make sure that every child’s potential to succeed is realized, to provide a good life for families, and to address the health needs in our community. “Our United Way is what it is today because of the dedication, the compassion and the heart of the volunteers, campaigners and donors who have supported the organization’s mission and work for more than 75 years. It is our responsibility as caring individuals to continue to do our part to ensure that everyone thrives and prospers. As a community, we can help our neighbors have a wonderful life,” said Toby Moreau. Moreau, with his team of volunteers who comprise the Campaign Cabinet and Loaned Associates, will carry the 2015 campaign message, “It’s A Wonderful Life,” to employee groups, businesses and individuals across Bryan, Chatham, Effingham and Liberty counties. Last year, United Way funded nearly 100 programs, which represented 54 non-profit organizations in our four county service area. Priority funding goes to successful programs in the impact areas of Education and Youth Development, Economic Independence, and Health and Wellness. During the luncheon, local businesses within the community reported results from their campaigns that were conducted in early August. These “Pacesetters” got a head start on their campaigns in order to set the bar for the community campaign as a whole. This year’s Pacesetters have helped to kick off the campaign with $700,254 of this year’s goal. 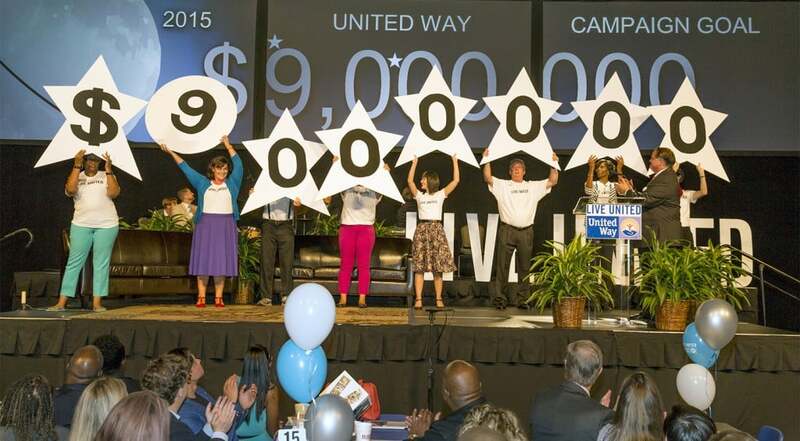 United Way’s 2015 Campaign will run from September 10th through November 20th. Individuals can pledge a donation by giving online or calling 912.651.7714.